Some of the larger cysts in fibrocystic disease may have a bluish appearance from outside (blue-domed cysts). The cyst lining is flattened or absent in some cases. 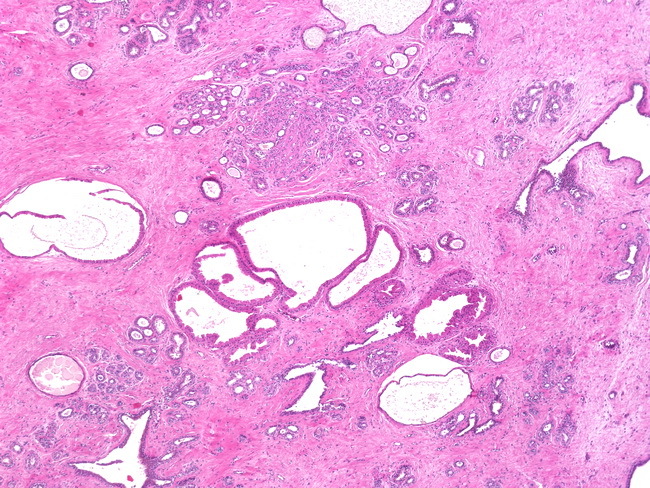 In the center of this image, cysts are lined by apocrine epithelium. Note the focus of adenosis above it.